animal – Hey, Look! A Writer Fellow! “Gimme a peanut butter cracker.” Moxie gets comfortable. December 22, the Sunday before Christmas, was a muggy 70 degrees. This day was preceded by a 50-something-degree Friday and Saturday. Any hope of a white Christmas was dashed. Normally this would bum me out – I like my winters snowy and bitter cold – but now I welcomed the mild temperatures. 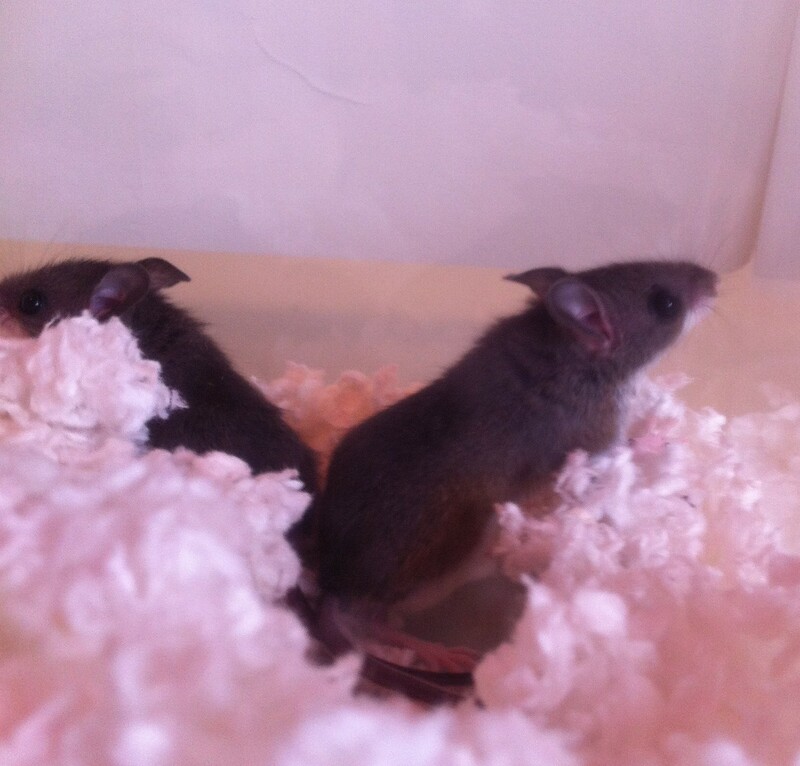 I had a pair of comfortably caged field mice that needed to be released. I knew that if I didn’t get these guys out of my house today, I would never let them go. I liked having them around. Because, well, have you ever looked at a field mouse? They are, I think, the cutest little package ever. Something that cute needs to be named, so I did: Moxie and Roxie. Roxie came later. I caught her about a week after Moxie had settled in. She was smaller and far more timid than Moxie and, for some odd reason, I worried that the two mice might fight. She was right, of course. Within a couple of hours, Moxie let Roxie under her bowl and the new visitor soon adapted to the resort lifestyle. When I peeked under the food bowl I found them cuddled together, maxing and relaxing. As much as I enjoyed their low-maintenance company, that 70-degree Sunday was a sign – as was the 50-something-degree day predicted for Monday. Forty-eight hours would give Moxie and Roxie plenty of time to build a new nest and/or and break into somebody else’s house. So, dressed for church, Ellen, Alex and I drove to The Mike Allegra Mouse Preserve, a wooded area about six blocks from our house. I’ve caught about a dozen mice and all of them have been released there. I really should put up a commemorative plaque. Ellen waited in the car. She was never one for mice. So Alex and I trudged down the muddy path in our church shoes. I tipped the cage on its side and opened the lid. Moxie, the more assertive of the duo, hopped out and scuttled under a pile a leaves. 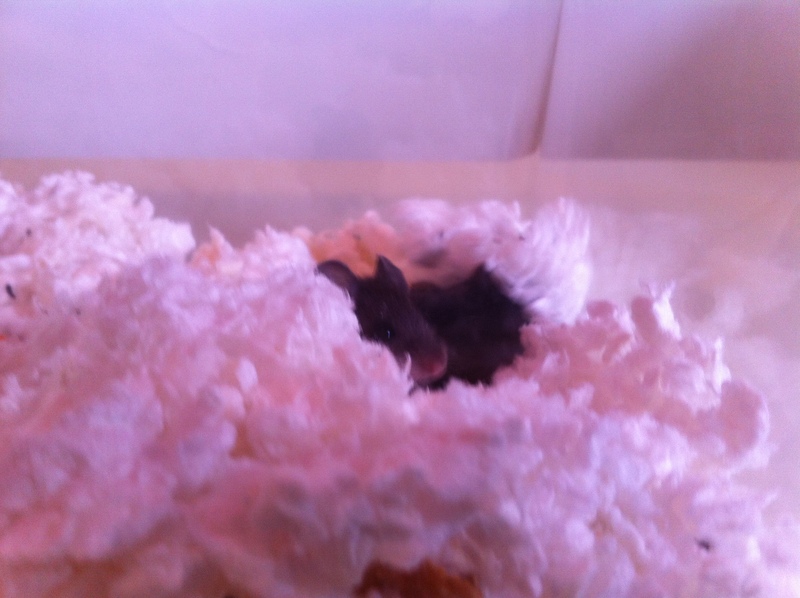 Timid little Roxie, however, dug deep under the cage’s bedding and refused to move. “Come on, sweetie.” I reached in and pet her head. This was the first time I had ever pet a field mouse. It was wonderful. But duty called. I nudged her to the cage opening. Then, like something out of those sappy A-Boy-And-His-Animal stories, Roxie and I exchanged looks. 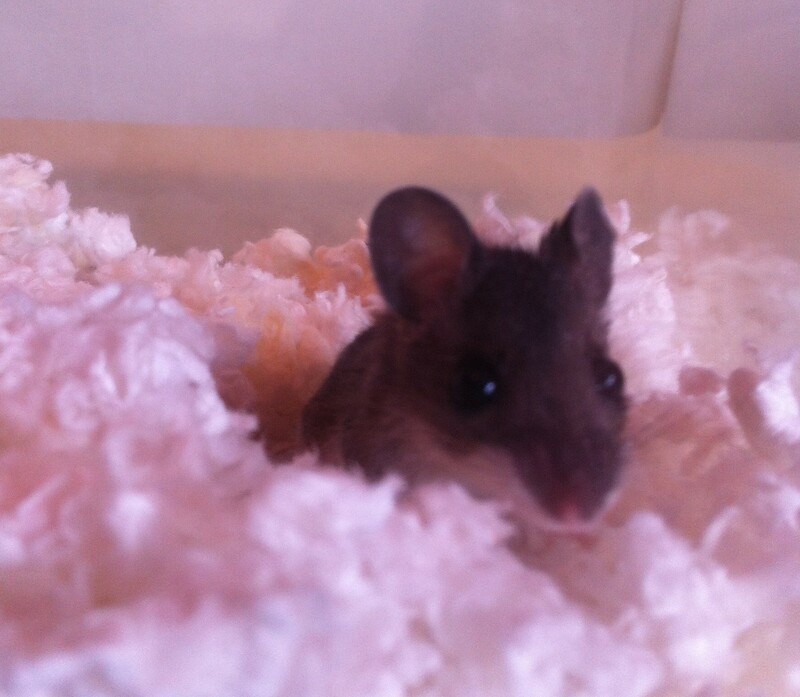 Mice have very large, soulful eyes. 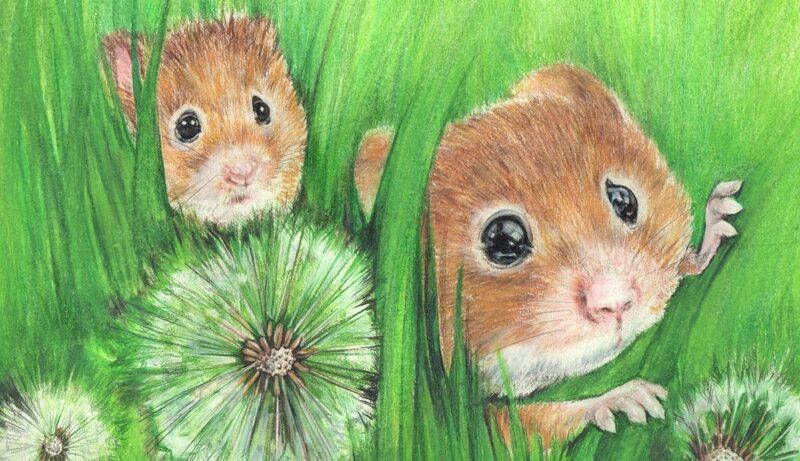 Then Roxie, in no particular hurry, turned and followed her new friend into the underbrush. “Will they be OK?” Alex asked. “Yes,” I replied. And I was relieved because I so completely believed it. “I’ll pray for them anyway,” Alex said. And so we headed off to church, perhaps the only two people on earth ready and eager to get down on bended knees to seek Divine Intervention for a couple of wee rodents.